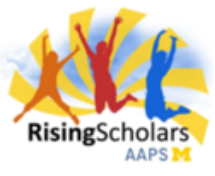 Huron is currently holding student officer election for their Rising Scholars program. Check back at the end of March for election results. Rising Scholars Dalani Young highlights STEM education.